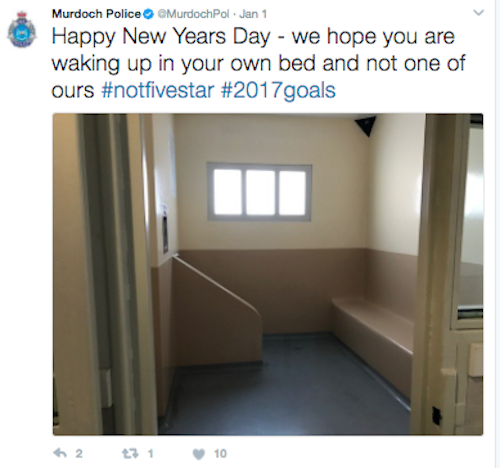 West Aussie law enforcers bring a little light-hearted banter to the job. The Fuzz, The Po-Po, The Coppas; Perth Police have got the tough job of keeping us safe and making sure we don’t cause harm to ourselves or others. 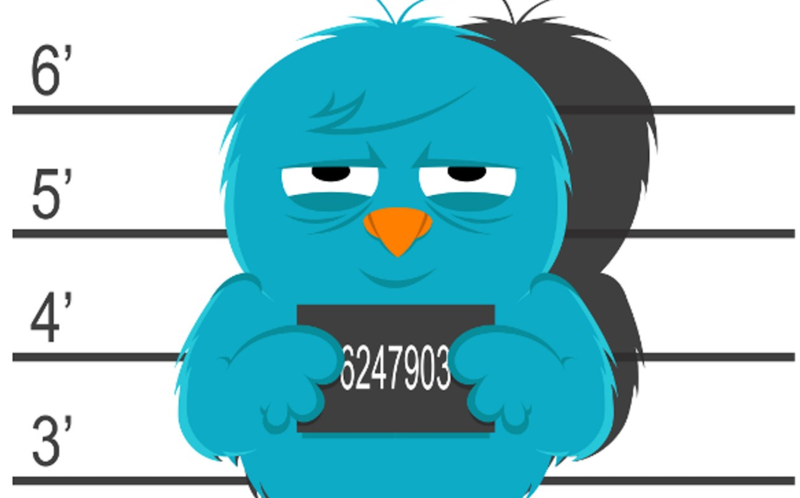 Don’t be fooled, they may be serious when it comes to the letter of the law; however, when it comes to 140 characters on Twitter, there’s just enough room for a little tongue-in-cheek. 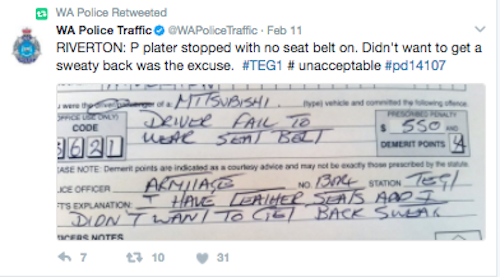 Here’s some of the top banter our West Australian law enforcers have posted during just an average day on the job. Warning: you may find this article comically offensive. New Year’s days can go one of two ways: with a new found spirit in your step at the #newyearnewme that’s about to take place or the alternative groggy wake up with the unmistakable feelings of shame, regret and uncertainty over the level of embarrassing you reached last night. 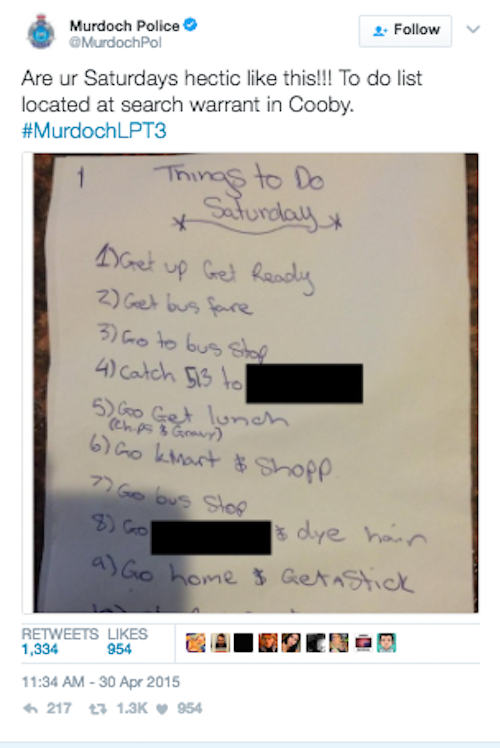 Murdoch Police were hoping NOT to see any of the latter offenders with this post. I don’t know about you, but when I’ve got a straightforward day of chores ahead I tend not to sweat it writing a list down for the small stuff. However, during a drug raid in Perth’s South-West, one member of the squad stumbled across a list that was definitely worth tweeting! I believe it was item no#10 on the occupant’s agenda that made his next stop a night in the joint. Don't mind the pun. 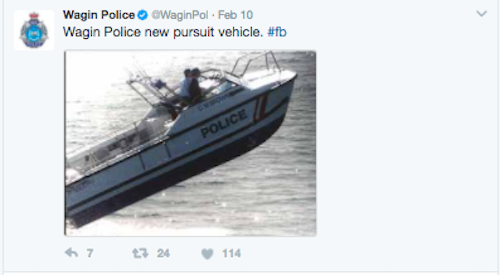 This regional police department may have watched too many James Bond movies judging by the situation in this tweet. The way they’re driving this boat is nothing less than a 007 worthy snap. We’ve all been there, getting ready for a night out while trying our best to battle against the unforgiving WA heat and prevent the hair and makeup we spent two hours doing melting off our face! For this driver it was a similar situation - I'd like to present to you the case of the #sweatybackattack. Unfortunately, this is not an adequate excuse not to buckle up. Could you justify a $500 fine to avoid little back trickle? Driving in the Perth CBD can be stressful at the best of times. There’s always unexpected roadworks, traffic jams, aggressively merging buses and nonchalant pedestrians who are less concerned for their own welfare than they are about being late for work. These road hazards are all the more dangerous when driving under the influence. 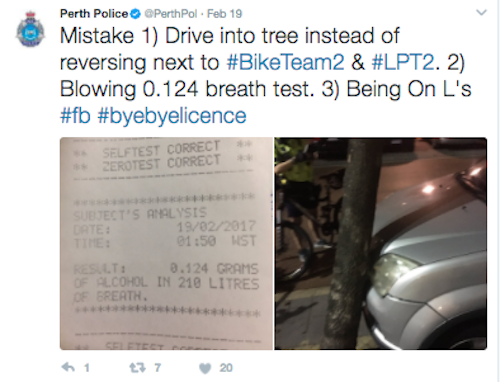 Perth Police were quick to point out a few errors in judgement this L-Plater was unfortunate enough to make.